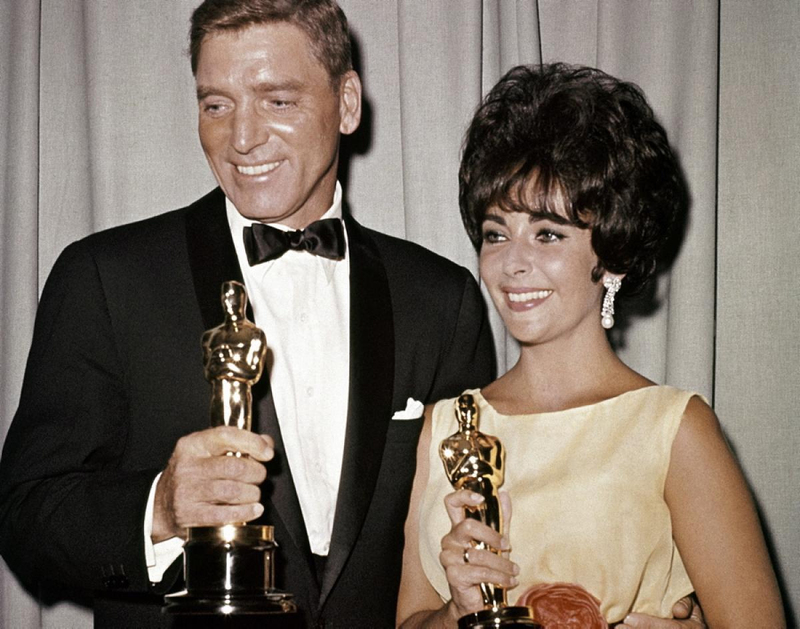 Liz with Burt Lancaster in 1961, the year they both won Best Actor/Actress Oscars. Nothing like trying on Elizabeth Taylor’s Van Cleef & Arpels sapphire and diamond mystery-set ear pendants to get a gal thinking about her position on long earrings. I had those earrings on for maybe two minutes last December but I can still feel the weight of them on my ears, and on my mind! 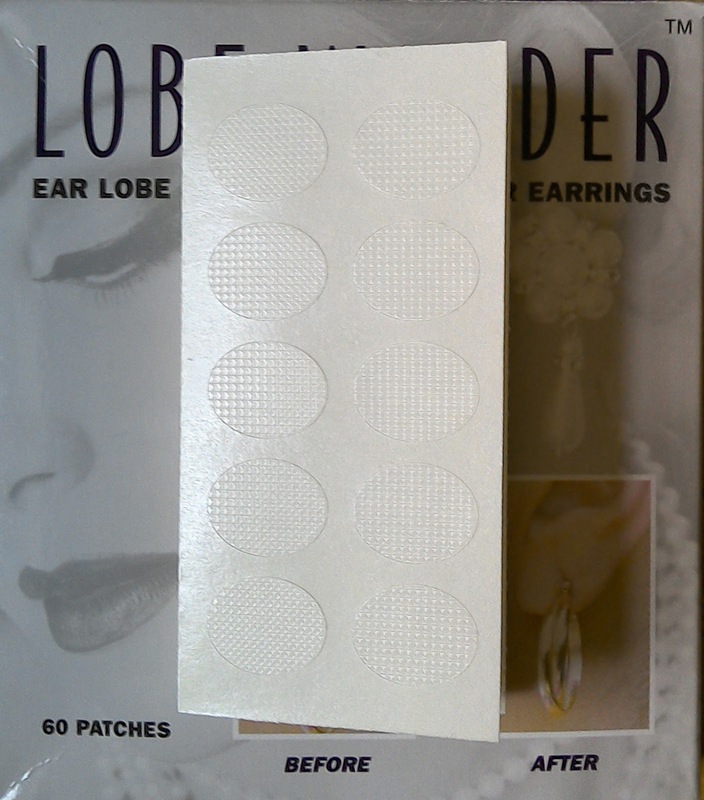 When I was a high schooler living in the Philippines, I loved long earrings, especially a pair a friend gave me made of different types of shells, but the heft of them and others like them left the piercings in my ears a little longer and I eventually worried for my earlobes! I cut my hair into a bob in my 20s and put away long earrings for good, sticking with studs. 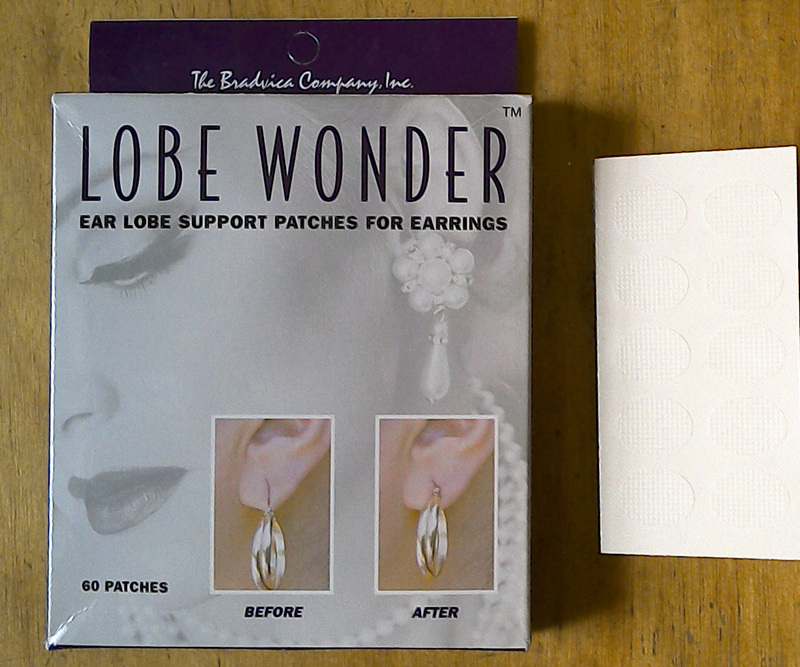 After trying on her Van Cleef ear pendants I wonder if it’s time for me to reconsider long drippy earrings myself. 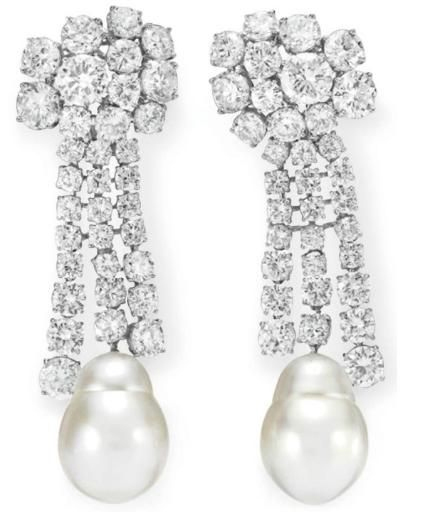 The South Sea pearl and diamond earrings owned by Liz. Trying on Liz’s earring! Photo by Michelle Aldag. Last month I went out for drinks with a friend and wore the above earrings that the nice lady who sold me my Kentucky Derby fascinator added to the shipment for free! I love their shape and sparkle. They also go so well with the tunics I have been favoring the past two summers. I used Lobe Wonder to help affix them to my ear lobes and the patches bore the brunt of the weight of the earrings that night. Since that went well, I have been thinking of adding another pair to my collection. I find that when my bob grows out a bit the earrings don’t get caught up in my hair and they look better too. A closer shot of the patches, which are clear. 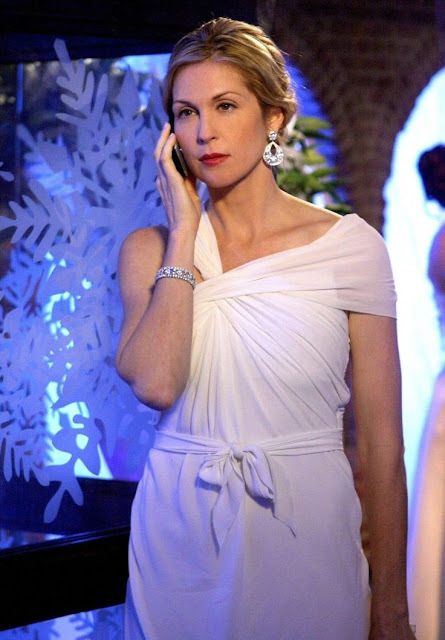 Loved these on Kelly Rutherford during an episode of Gossip Girl. 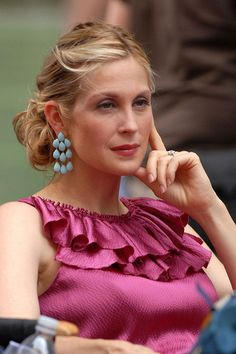 I thought these turquoise blue earrings on Kelly Rutherford’s character Lily on Gossip Girl paired so well with her ruffled pink dress. This episode was partly filmed at the Brooklyn Botanic Garden so it was fun to see Kelly swanning around one of my favorite places in the world looking so feminine and elegant! Kelly Rutherford and Robert John Burke on Gossip Girl. I could write several (several!) posts on the amazing clothes, shoes, bags, and jewelry, my God the jewelry, on Kelly during Gossip Girl. The Van Cleef & Arpels they hung on her alone is enough to make a gal weep! I am crazy for the earrings she wears here. Anyone know who makes them? I also love the brocade skirt and embellished blouse she wears since I never get tired of black and gold! Kelly in Van Cleef & Arpels jewels. Speaking of Van Cleef & Arpels that could make a gal weep, these are their “Snowflake” earrings (the LARGE model!) in diamonds and platinum, $145,000 (ouchy ouch ouch). Kelly looked amazing in them during an episode set in winter. I have to laugh that I am shopping for something I already own, these do look similar in shape to the earrings the hat lady sent me! 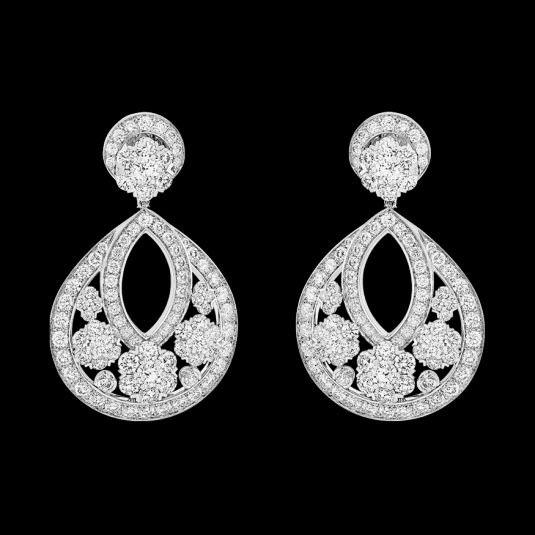 Van Cleef & Arpels Snowflake earrings in diamonds and platinum, large model. 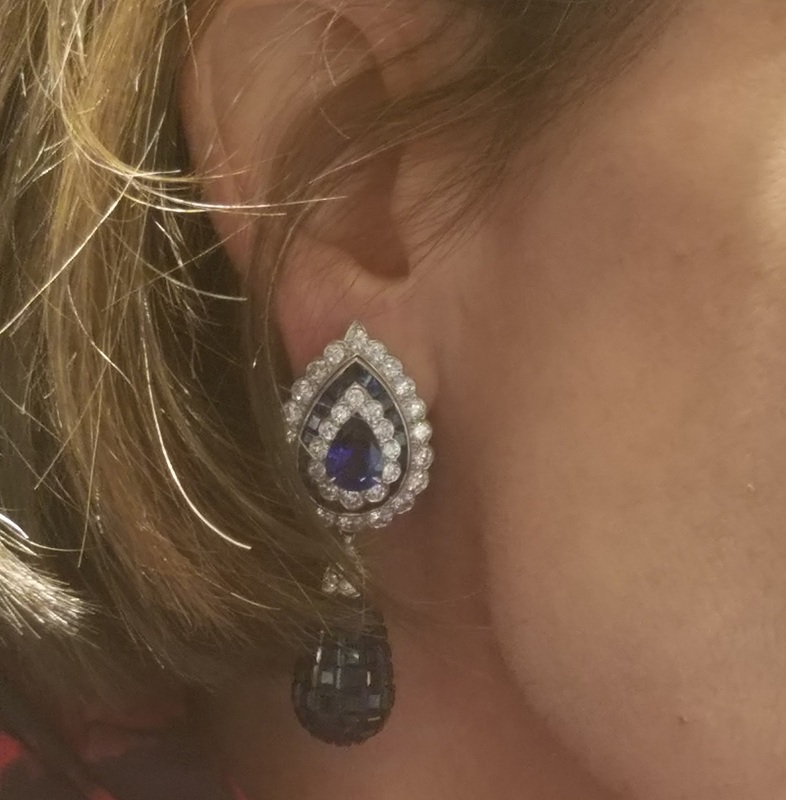 If there is a brand you like for big earrings (in the realm of costume jewelry, of course) please tell me what it is. And let me know your own position on the long drippy earring! I do wear long earrings frequently. And, when I do, I rarely combine them with a necklace. Just too busy with my short bob hairstyle. 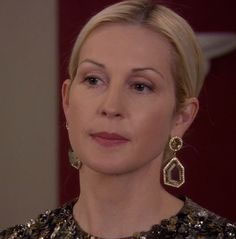 I have quite a few Julie Vos earrings from a few years ago. Their price point then was very affordable. My Alexis Bittar earrings always get compliments as do my & Kenneth J. Lane.